Job ticket holders are important tools that can be easily hung on hoops and on machinery to call attention to important instructions, low inventories, or job orders. These products are reusable, long-lasting, and they keep paperwork flat and legible, so your message is easily read. We offer a number of different colours, styles, and sizes. No matter what your company needs, we have it for you. You can trust us to supply your business with the warehouse supplies you need to get the job done. All of our products are durable and made from high-quality materials, so you can trust them no matter what your application may be. 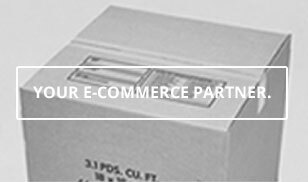 The Packaging Company is dedicated to providing shipping, storage, and organization tools that make doing business easier. We are a one-stop shop that provides high-quality products at affordable prices. We pride ourselves on offering an extensive variety of products so you can get everything you need quickly and easily. You don’t want to spend a long time struggling with different providers. You want to buy what you’re looking for get back to work. That’s why we’re here. If you have any questions about any of our shipping or warehouse supplies, do not hesitate to contact us today. We put a strong focus on customer service and will be more than happy to speak with you about any issues or questions you may have. If you’re not able to find a product, or if you have an issue but you’re not sure what you’re looking for, please do not hesitate to contact us by phone or email. You can trust the Packaging Company for job ticket holders and anything else your company needs to get the job done. Contact us today by phone or email. We look forward to hearing from you and assisting in any way we can.